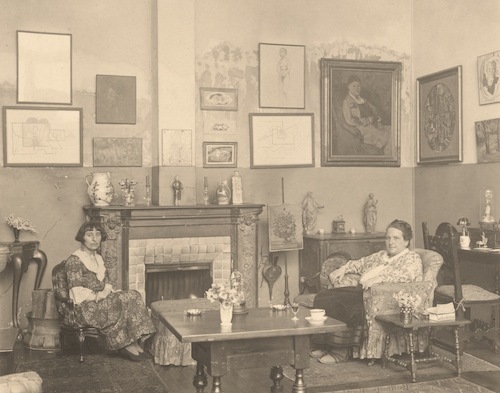 They both could taste the vanilla and the crystallized ginger, but only Miss Toklas could detect that there was something deeper, something that emerged as a lingering lace of a feeling on the tongue. Peppercorns, Miss Toklas. Step the milk from morning till night with ten coarsely crushed peppercorns. Strain and proceed as usual. The “bite” that the peppercorns leave behind will make the eater take notice, examine this dish of sweet anew. Think of it as an unexpected hint of irony in a familiar lover’s voice. I’d heard of grains of paradise, a spice native to West Africa, being used in beer brewing, and I seemed to recall a flurry of activity a while back, when it was discovered by chefs. Grains of paradise are described as having a peppercorn-like bite, but with a bit of citrus that some have likened to a burst of lemon in the mouth. Online recipes seemed to use them much like peppercorns — as a crust for fish, in salads or salad dressings — and the little dried berries do look similar. But I’d also found a Grains of Paradise Ice Cream, with a base of coconut milk. Aha! Still, while it was on the right track, it was not headed in quite in the right direction. Then, almost simultaneously, I came across The Book of Salt passage. I’d long known that The Alice B. Toklas Cookbook is a sought-after collectible (with its own infamous “food of paradise” recipe), which drew my attention to The Book of Salt in the first place. But I have no idea where the novelist gathered the cooking tidbits passed along by her protagonist. Perhaps if Monique Truong still lives in Brooklyn, as the book jacket says, I’ll have the chance to ask her in person someday, and offer a jar of Drunken Cherries in thanks. I’ve used grains of paradise for 30 odd years. I fell in love at first taste when I got them to make an ancient recipe and they have been part of my pepper mix for nearly as long. They are perfumy, aren’t they? They are also used in making the classic hippocras and, well, great on everything if you ask me. Can’t wait to try that ice cream (ps, great on strawberries too and in your pumpkin pie mix!). Now I need to try hippocras. You’re always good for another obscure recipe, Deana.